When we talk of wagtails and of their classification, the problem gets ample and complicated. Very common bird, very flashy and widely diffused, boasts within its territory a so much substantial number of subspecies to often create problems of identification. But the problem is even more particular. Inside neighbouring populations, the subspecies often do hybridize creating in their turn specimens with characteristics belonging to both partners. If to these difficulties, to be considered even normal if it was not for the high numbers entering the game, we add the different plumage existing between adults and immatures as well as the differences of livery between the period of nidification and the winter one, here the situation really gets complicated. 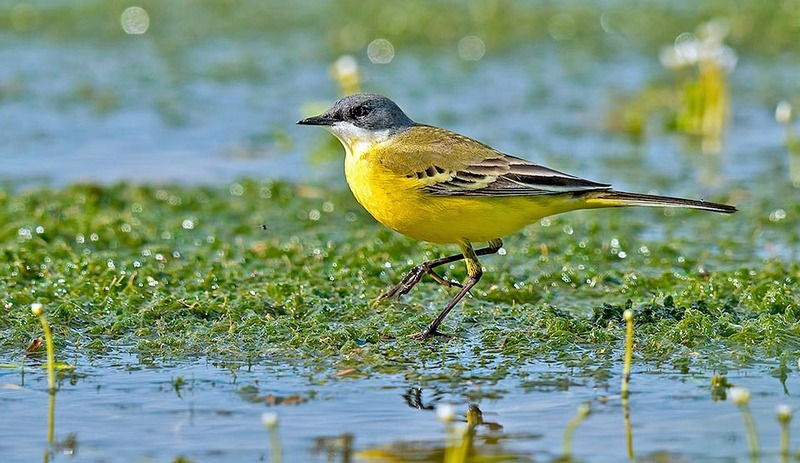 The Yellow wagtail or also, improperly in italian “ballerina gialla” (Motacilla flava Linnaeus, 1758) belongs to the order of the Passeriformes and to the family of the Motacillidae. 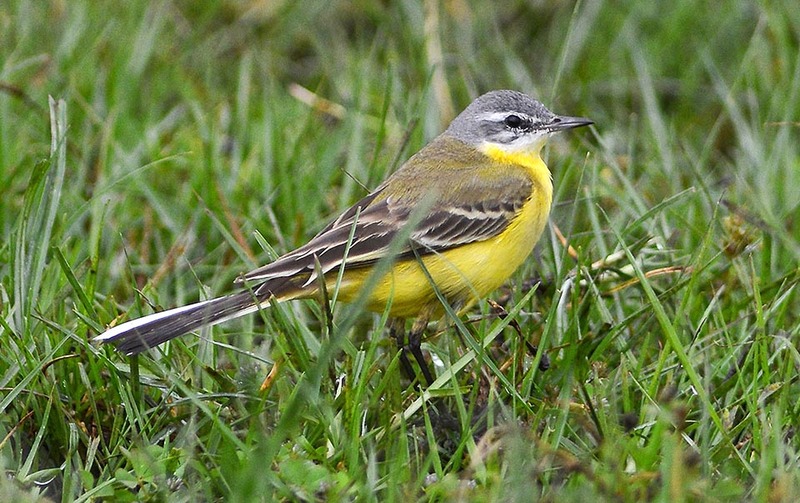 We have said inappropriately because this common Italian name, although it refers to another species, the Motacilla cinerea, very often and in many sites is commonly used also for our western yellow wagtail. As a matter of fact, both of them are yellow, even if the last one often exhibits brighter shades should have deserved the appellation related to the colour of the livery instead to the Motacilla cinerea that, as said by the scientific name, is more greyish. It comes to us in the very early spring when the climate is still showing the last winter flashes and the nature is still bare and at once rejoices with its bright colour, the still barren environment. Its arrival is simultaneous with the arrival of the Swallow (Hirundo rustica) and is a clear confirmation that spring is unfailingly coming. It initially appears in few specimens, sparse and isolated, but immediately after few days here are some real migratory waves that take north a population that has dealt with thousands of kilometers to see again the homeplace or at least is pushed by that primal instinct that leads them to conquer always new territories. 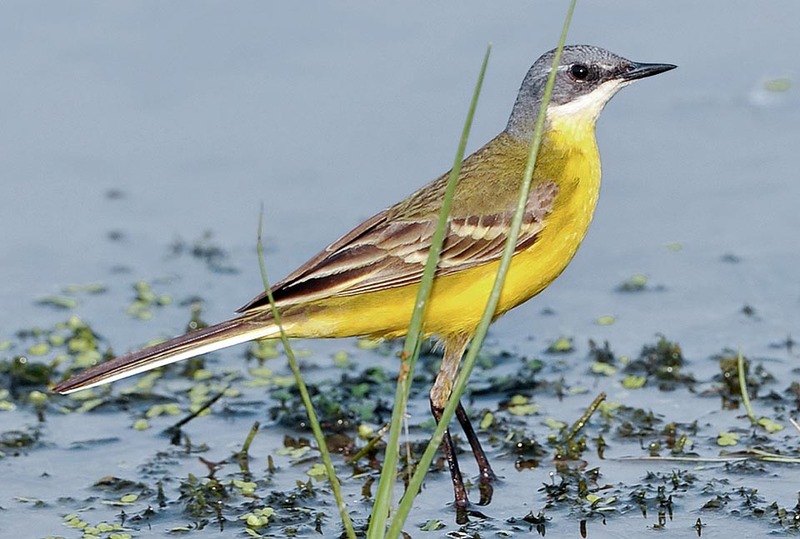 The Yellow wagtail is perhaps the species having the greatest number of variations in the plumage and the ornithologists well know which and how many are the technical difficulties in classifying a specimen through the simple field observation. Also nowadays, with the advent of digital photography that allows technical manipulations of the shots such to evidence details that before were impossible to note, it is not always possible to make certain judgements about the pictured species. It often occurs that under the photograph of a specimen, though nitid and well marked in the details, is shown in the legend … male referable to the ssp xxxx or … possible hybrid ssp A x ssp B, as proof of the innate difficulties of the matter. But we shall resume the argument later on when talking of morphophysiology. 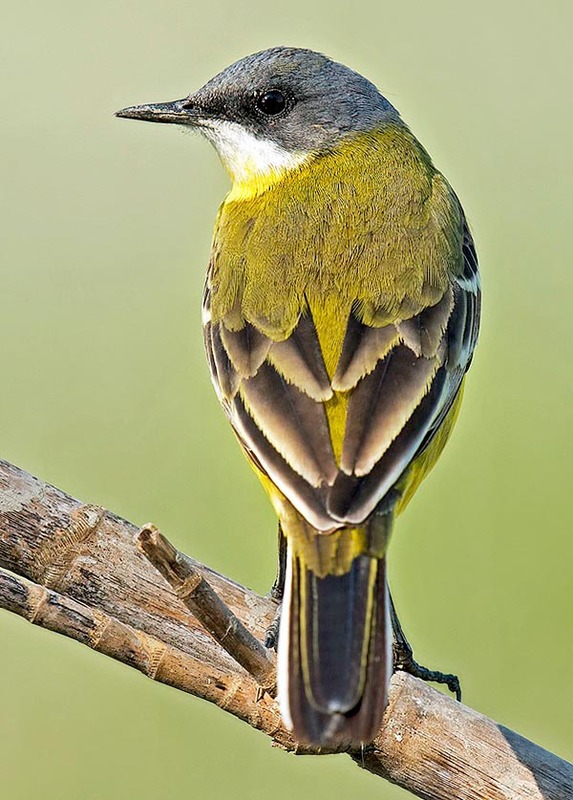 The etymology of the name of the genus Motacilla for someone, should come after “motare” = to wag and “cilla” abstruse interpretation of medieval origin to indicate the tail, whilst for others from the Greek term “muttex”, name used by Hesychius to indicate small birds linked to the aquatic world; the specific name of the species flava, comes from the eponymous Latin term indicating the yellow colour. The common names in the various European languages are often indicating the habitat frequented by this species or its colours. 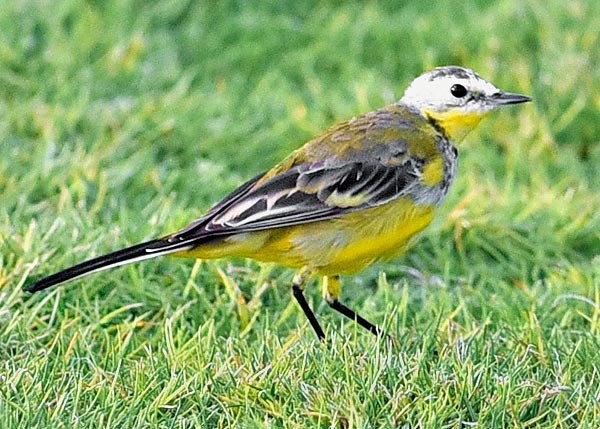 In German Schafstelze (wagtail of the trees), in French Bergeronnette printanière (spring wagtail), in Spanish Lavandera boyera (laundress of the oxen), in Portuguese Alvéola-amarela (yellow wagtail) , in English Yellow Wagtail and in Italian Cutrettola or Ballerina gialla (yellow dancing wagtail). And we add the always nice and unspeakable Japanese tsumenagasekirei. 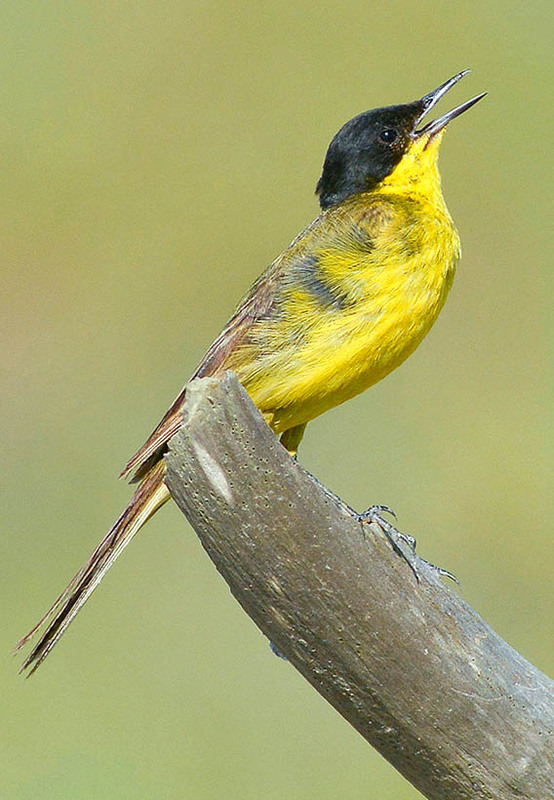 In the Italian regional dialects, this small bird has gotten many names as proof of its vast diffusion on the territory, from boarina to tremacoa, from coditremola to coetta, from codizinzola to schiasacodula, from pastorella to pastorellina, from balarina to baticoda and then the official common name of cutrettola that is thought to be coming from the late Latin “cauda trepida”, later on transformed in the archaic diminutive “cutretta” and finally in cutrettola. 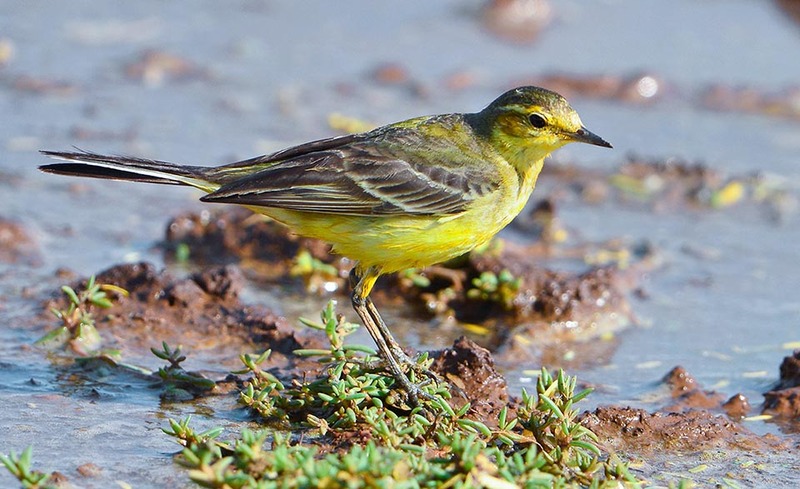 The range of the yellow wagtail is very vast and being a very strong migrant, it covers in the two different seasons, territories standing among the most varied and habitats among the most different. Assuming that during the autumn migration for escaping the winter rigours, it reaches very far quarters that totally occupy sub-Saharan African, the Indian subcontinent and South-East Asia, including the Indionesian archipelago, we might imagine that its summer ranges are limited to the temperate zones of the Palearctic. By sure it is not a limicolous, so much used, with their very fast and dashing flight, to migrate from one corner to the other of the world. Conversely, a marked Dantesque retaliation prevails, a strict contrary correspondence … as much it goes south to find the winter warmth, as it goes north looking for the summer coolness. 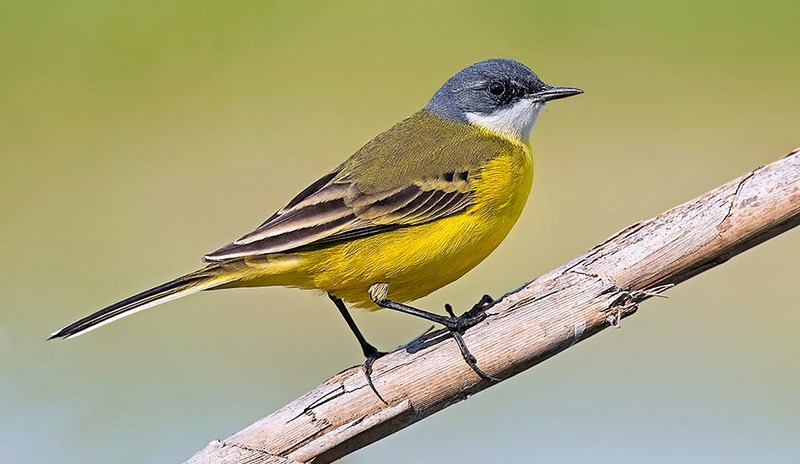 In fact, the yellow wagtail reaches unbelievable latitudinal limits, occupying all extreme north coasts of the continents, from North Cape in Norway, to the lands coasting the Glacial Arctic Sea, through Arctic Siberia and reaching even the Pacific coasts of Alaska. Southwards, it has populations in Africa, in Morocco and occasionally on the Mediterranean coast up to Tunisia then reaching suddenly the Nile Valley going then in Anatolia and in parallel in Asia up to Chinese Mongolia and Pacific coasts. Oddly enough, Europe, though densely inhabited, has shown lacks in the Iberian Peninsula, in Ireland, in Scotland, in Iceland and in the central part of the continent. Also in Italy, it is lacking in vast central sectors of plains as well as of hills and considerably in the southern ones, with isolated colonies in the extreme peninsular regions, in Sicily and Sardinia. Conversely, it is very common and diffused in the Po Valley. The species, in the Palearctic populations, is a regular long range migrant and abandons totally the summer ranges for the tropical ones. 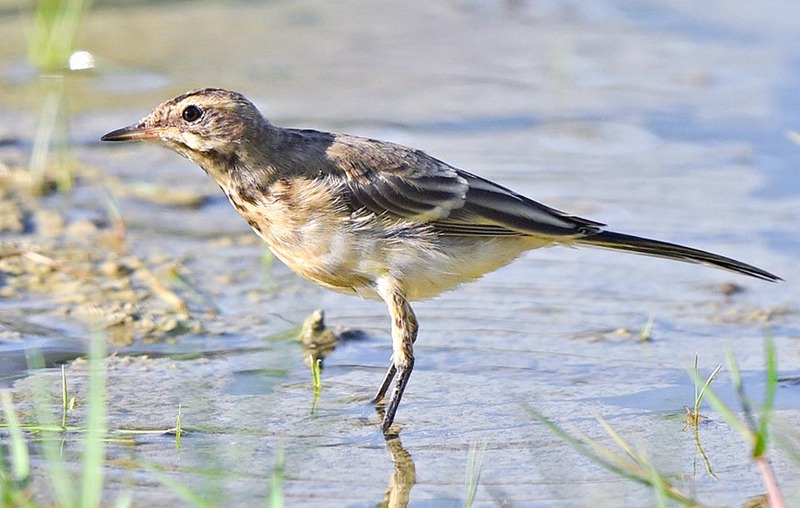 It reaches us in early spring and as the famous naturalist Buffon said: “this wagtail is the first to appear again in spring in the meadows and in the fields, where it crouches amidst the green fodders”. The habitat frequented by the western yellow wagtail is at times quite different from those occupied by its congeners. It is not strictly linked to humid environments as is the case of the white wagtail (Motacilla alba) or to the babbling brooks like the grey wagtail (Motacilla cinerea). Always linked to more or less flooded or humid meadows with low vegetation, few emerging shrubs, grassy extensions but in the mean time often arid zones, steppes, intensive cereal cultivations, and stable meadows. 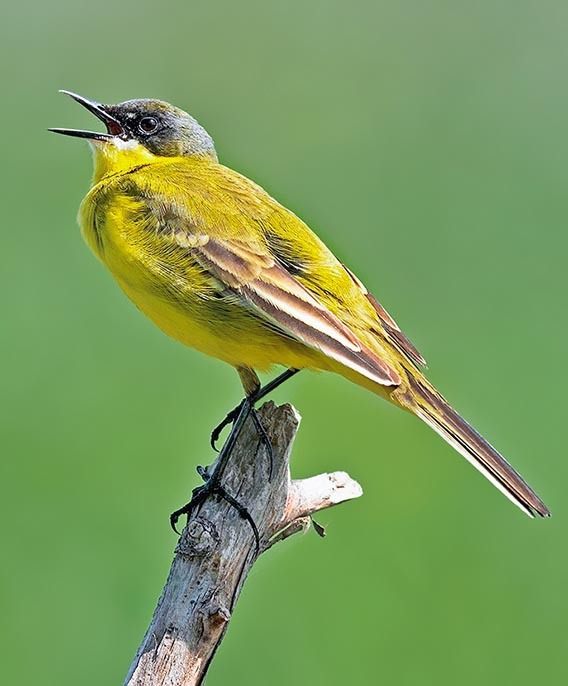 Contrary to the two congeners that are mainly terricolous and only occasionally perch on branches or trees, the yellow wagtail often loves to stay on the top of shrubs overlooking the ground, on fences or stakes and also on trees and from that position to emit loudly its laboured but piercing signalling “sriip sriip”. In the Po Valley it is strongly linked to the fields of barley, wheat and oats and to the grassy fields even uncultivated, ideal places for the nidification whils it avoids and abandons totally the areas planted with maize, whose prevalence might in the future jeopardize its presence. The dimensions of the yellow wagtail are almost similar in all the forms, variations and subspecies hitherto classified and have a length of 16 cm, a very variable weight of about 20 g and a wingdspan of 25 cm. The typical livery shows the whole lower part, undertail included, of a brilliant deep yellow colour, at times turning lemmon and the upper part olive grey with two white alar bars marked by the terminal part of the alar coverts. The tail is not as long as that of its congeners but is always well evident and is wagged in the same way. The outer flight feathers are white whilst the inner ones are greyish black as the back. The sexes are distinguishable only by the black outlines of head and neck, much more evident in the male whilst the young, in their adolescent plumage, totally lack the yellow, the facial drawings and have the chest often spotted like in a Meadow pipit (Anthus pratensis). Moreover, they are easily confounded with the young of the white wagtail. It would perhaps impossible or better still very difficult to list all the subspecies classified till now for this small bird, keeping in mind that every day some new ones are added, increasing continuously the debate about the acceptability or not of the discovery. To date the debate appears now concluded for what concerns some tens of ssp. now officially accepted and on which the modern taxonomy seemed presently to rely and consequently to their geographical location in the various occupied territories. It remains true the fact that the number of the possible hybridizations and of the various combinations that may generate from these unions, are various and can give rise to disputes still heated among the experts. The key points for the determination of this species in the wild, are the colours and the drawing of the head, the neck, the nape, the cheeks and the eyebrow. It is clear that having the possibility of handling a specimen and detecting punctually its measures, as happens in the world of the ringers, we might get a simpler classification, duly taking the measures of the alar formula, of the bill, of important feathers and other significant particulars. From the careful observation of the aforementioned points, of the vastity of the colours and from the overall contrast of the shades, we can be able, sketchily, to classify the belonging to the various subspecies. Even more important is also the place of the sighting, in particular during the nidification period, as logically each variety has its own prevailing territory. Just to conclude on this point, is sufficient to say an unbelievable number of ornithologists and scientists has engaged over time in these searches, rightly ranging from Linnaeus already from 1758 with the Motacilla flava flava, to Sushkin in 1925 with the Motacilla flava angarensis. More than two centuries of experiences but the story is not over yet! Not entering in merit, we can instead hint the subspecies recurring in Europe for observing the most evident characteristics. We have the Motacilla flava flava, typical to the central part of Europe, of Scandinavia and, east, up to the whole European Russia, that has a rather faded head, coloured in grey with a well marked white eyebrow. 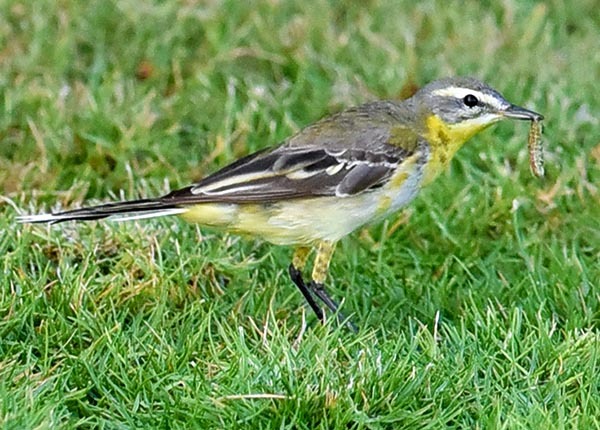 The Motacilla flava flavissima, typical to England and even paler that the previous one. The Motacilla flava thunbergi, a typical Asian subspecies, with populations present also in the Scandinavian Peninsula and that has the head of a compact dark grey colour that amply goes down on the cheeks. The Motacilla flava iberiae that occupies the Iberian Peninsula up to the African coasts of Morocco and Tunisia, very similar to the group of the flava but that shows a paler and whitish throat and a darker hood. The Motacilla flava cinereocapilla, the Ashy-headed wagtail, common in all the Italian territory, with a just hinted eyebrow and dark and compact greyish head. And finally, the Motacilla flava feldegg, of the Balkan Peninsula, the Caucasian area, Middle East and even more to the east, with a typical very black hood, so much to be called rightly Black-headed wagtail. Then there are many more subspecies scattered in every corner of the very vast territory occupied by this small bird. Just to mention some: the Motacilla flava angarensis, Motacilla flava beema, Motacilla flava leucocephala, Motacilla flava lutea, Motacilla flava macronyx, Motacilla flava melanogrisea, Motacilla flava plexa, Motacilla flava pygmaea, Motacilla flava simillima, Motacilla flava taivana, and the Motacilla flava tschutschensis. Finally, we remember that many variations once classified as subspecies have been revaluated at the level of species of itself. 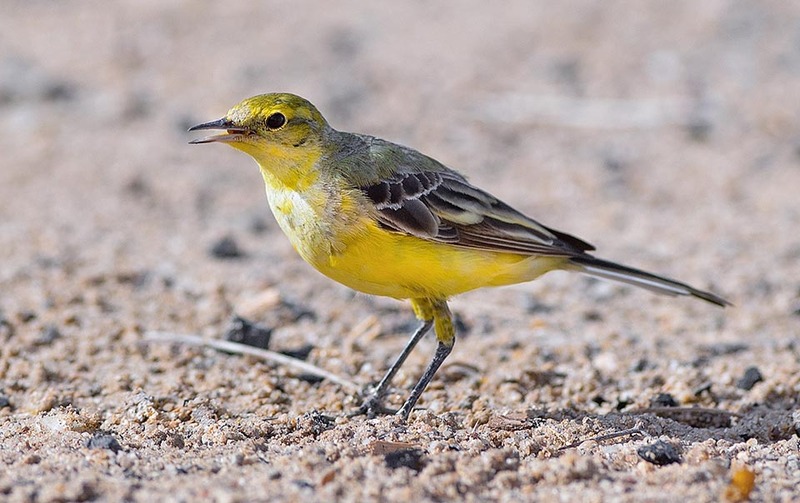 The yellow wagtail nests on the ground, in a small depression slightly dug in the soil and that is filled up with dried grasses and small rootlets intertwined to form a perfect and deep cup. Usually it is inserted inside a tuft of grass or more commonly in the basal rosette formed by the stems of the cereals where it loves much to stay. It does not have particular choice positions where to dig the nest and not even the precaution of choosing a raised place in order to avoid possible floodings of the soil. 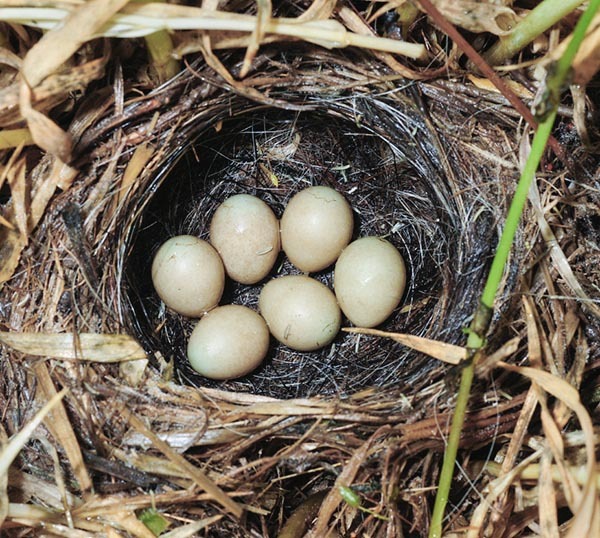 Usually, the nest stands inside a vast extent of wheat or barley or in a uncultivated field or also on the border of a country track. Conversely, it appears important that in the proximity there is a stem or a shrub more elevated than the vegetation of the ground where the nest is located, where to perch and survey the territory. The species is territorial and defends carefully its own space but in the same time accepts the vicinity of other couples when the distance is acceptable. The nest is usually built by the female even if the male cooperates carrying support material, whilst the brooding and the care of the progeny is a duty of both parents. 4 to 7 cream coloured eggs are laid, finely and thickly dotted brown, brooded for about 13 days. The fledging occurs after two weeks but the independence takes place much later as the parents provide for their care for long time more. 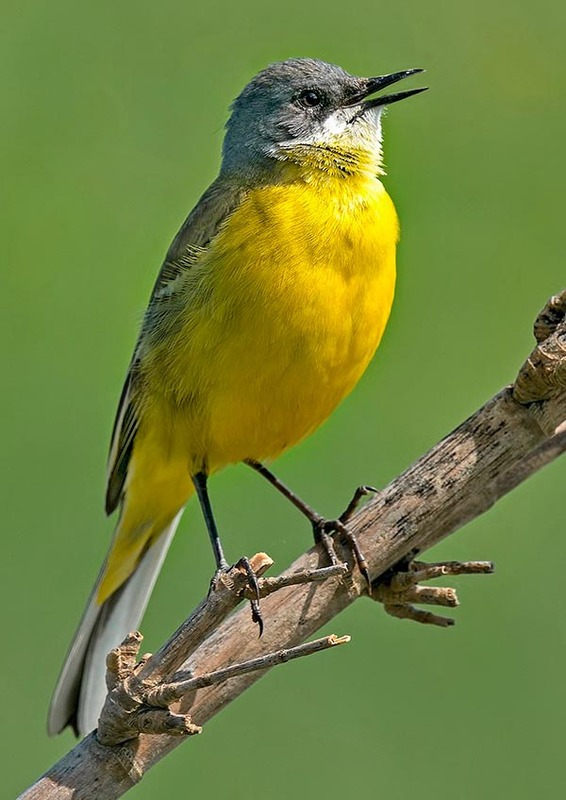 The yellow wagtail is an insectivorous bird during the nidification as well as in most of the year but does not disdain to peck at seeds and berries when necessary. The preference falls however on terrestrial as well as flying insects, caterpillars and larvae and small invertebrates. It loves very much to follow the herds of animals and it’s by sure for this reason that in many European languages its name is connected to this ancestral passion. An innate habit, instinctive, that leads it to follow animals of all types and of any character, of any size and in any place. We know the yellow wagtail more easily through the tv documentaries about the big African animals than directly in our countries. We see it while running fast and with impunity between the enormous legs of an elephant or as an infinitesimal object, hiding on the shade of an extremely high giraffe, slightly little paler due to the winter livery but always nimble and cheerful. Well, let us not forget that these tiny and frail small birds, after a very dangerous travel of thousand of kilometres through hostile worlds, after tremendous efforts at the limit of their physical forces, after sometimes terrible decimations, come back unfailingly every year in our countries to cheer us with their colours and of course trying to attract our curiosity.